For a detailed biographical sketch, click on the drop-down "Biographical Information" button that appears under the "About Me" page button. A summary biographical sketch appears below. Economics of Cropping and Production Systems that Utilize Soybeans and Corn. Developed Stale Seedbed Concept of Production. 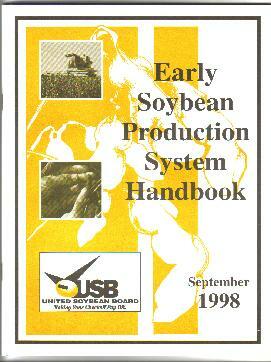 Developed Early Soybean Production System for Midsouthern US. Developed Soybean Irrigation Scheduling Technology for the Midsouthern US. Co-editor of Early Soybean Production System Handbook. 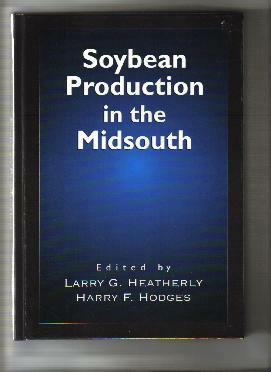 Co-editor of Soybean Production in the Midsouth. Author of three authoritative chapters in American Society of Agronomy Monographs. Developed technology that results in >$100 million annual increase in producer income in Midsouthern US. Associate Editor, CROP SCIENCE, 1984-1985. Technical Editor, CROP SCIENCE, 1986-1988. Member, DowElanco Southeastern US Soybean Crop Advisory Board, 1991-1992. Editorial Board, FIELD CROPS RESEARCH, 1994-1998. Wrote "Delta Soybean Scene", monthly column, DELTA BUSINESS JOURNAL, 1998-2001. United Soybean Board proposal peer review panel, 1999-2002. Chapter content reviewer/editor, "Climate Change and Global Crop Productivity", CABI Publishing, 2000. Writing Coordinator and Problem Area author, ARS National Program 305, 5-year action plan, 2001. Subcontractor, Miss. State University, Yazoo Backwater Area Reformulation Project, 2005. Freelance writer, Delta Farm Press, Soybean South, Successful Farming, 2005-2007 (See Articles page for list of published articles). Member, Successful Farming magazine High Yield Team, 2005-2007. Project Manager/Lead Author of CAST (Council for Agricultural Science and Technology) Special Publication No. 30 entitled "Sustainability of U.S. Soybean Production: Conventional, Transgenic, and Organic Production Systems", July 2009. Available for purchase from CAST at http://www.cast-science.org/default.asp.